This is a real easy snack/breakfast can be prepared at home without much of preparation... 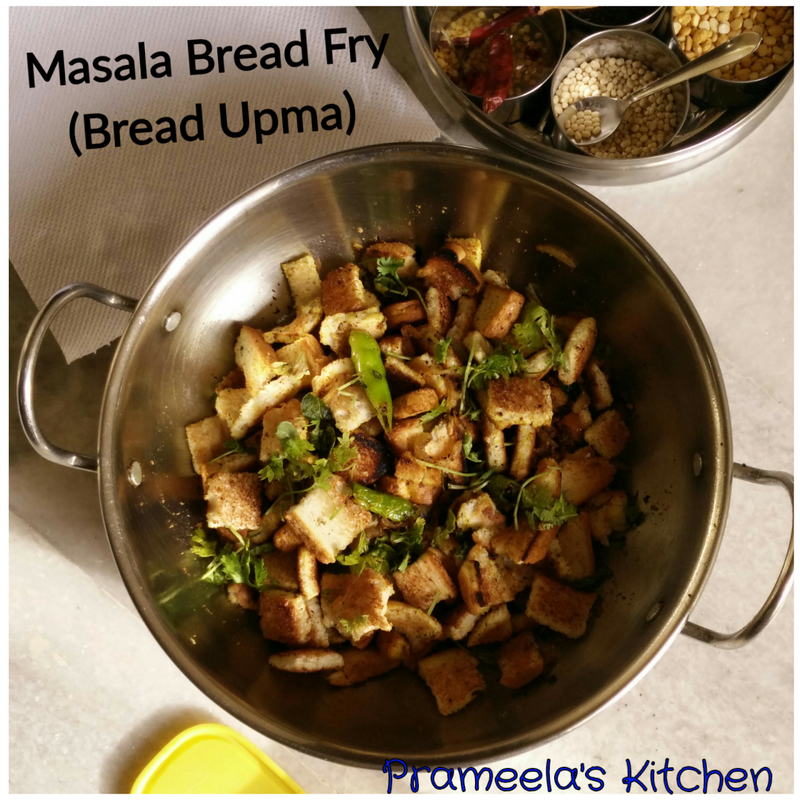 In this recipe toasted bread pieces will be seasoned with butter, common Indian seasoning ingredients , sambar powder / curry powder and sauteed tomato and onion . Enjoy this tasty masala bread fry( bread upma ) along with hot tea. 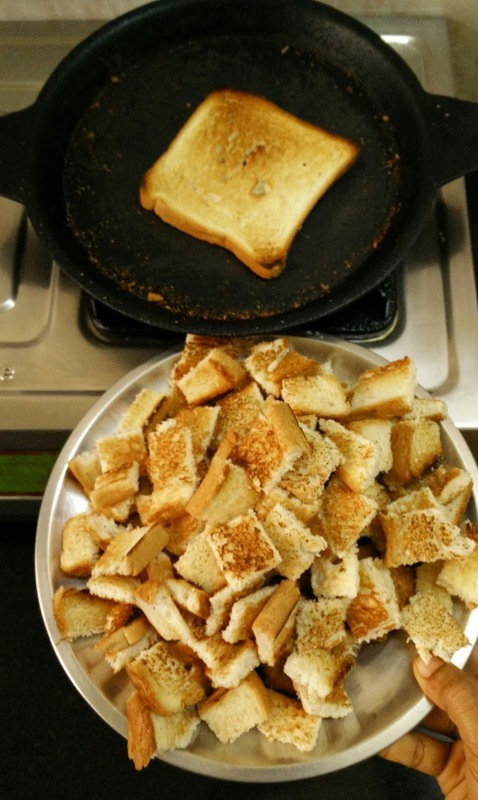 Chop the bread into small dices and keep it aside . In a large pan/kadai , heat butter and add bread dices . Keep the flame in medium and roast gently for about 8-10 mins . Make sure all the sides of dice is nicely roasted. Switch off the flame and leave the bread dices in kadai .After it cools down it will become real crisp . In a another large pan/kadai , heat oil/butter and prepare the seasoning. First add urad dal and mustard seeds. After mustard seed pops out , add curry leaves . Fry for few secs and add onions, turmeric powder and green chilly to it. Saute until raw smell of onion goes off. Now add chopped tomatoes, salt and sambar powder. Fry for 5-6 mins until tomatoes become soft. Now add the crispy roasted bread dices,coriander leaves and mix well and switch off the flame after 3-4 mins. After removing from heat stir gently again until bread dices will get all the masala and spices. Check the salt and adjust.